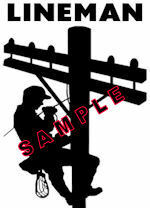 This 1x6 Lineman's Lady Temporary Tattoo for your upper arm, lower back, etc. is very hip - it's done in an "inked tattoo" style and is very realistic! Simply rest a wet cloth on it for 30 seconds and that's it! Will last through several showers...there's no sticky residue, and it will catch an awful lot of attention! Pick up several for the other gals, because you KNOW they are going to want them too! This is a beautiful filigree heart charm with the word "Mom" encased- 14K White Gold Charm Pendant. A beautiful charm to add to your wife or mother's collection. 1.2 Grams of white gold. 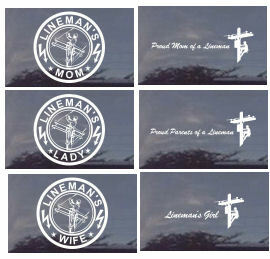 With the holiday's coming up, you won't find a better time to place something in your order for that special mom in your life!